Indigenous Eye Health (IEH) at the University of Melbourne hosted a two-day ‘Close the Gap for Vision by 2020 National Conference’ on Indigenous eye health and the Roadmap to Close the Gap for Vision on 16-17 March 2017. IEH’s Roadmap partners such as NACCHO, Optometry Australia, RANZCO and Vision 2020 Australia supported the conference. 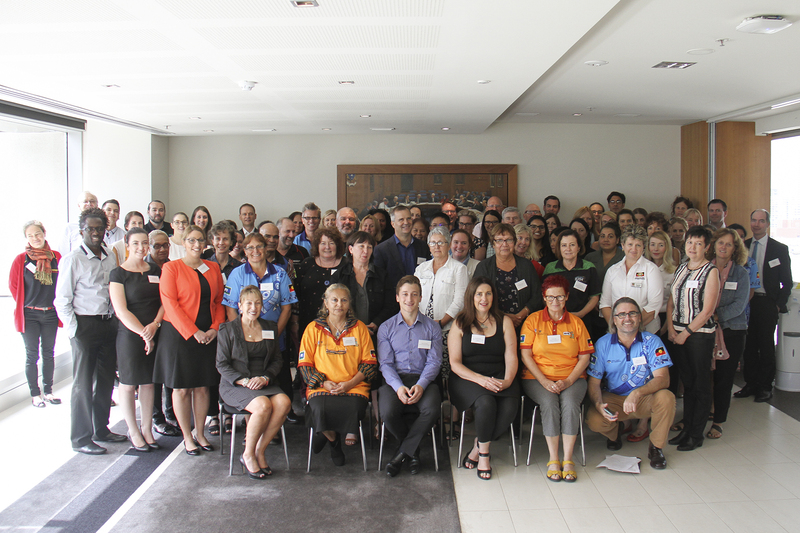 More than 100 people working in various areas of Indigenous eye care across Australia, including representatives from VACCHO, AHCSA and QAIHC, attended the conference and provided many positive stories about progress to close the gap in Indigenous eye health. The start of the conference coincided with National Close the Gap Day on Thursday 16 March 2017. Recent findings from the National Eye Health Survey (NEHS) showed the gap of blindness between Indigenous and non-Indigenous Australians has halved from six times more likely to three times more likely. This is a step in the right direction but there is still much work to be done. IEH has undertaken formative research to assess the need, barriers and enablers to the delivery of eye health services for Aboriginal and Torres Strait Islander peoples. The evidence base gathered has guided the development of a comprehensive and feasible policy framework, the Roadmap to Close the Gap for Vision (the Roadmap). The Roadmap is endorsed by the Indigenous and mainstream health sectors and government. IEH is currently actively engaged in providing the advocacy and technical support to Close the Gap for Vision. 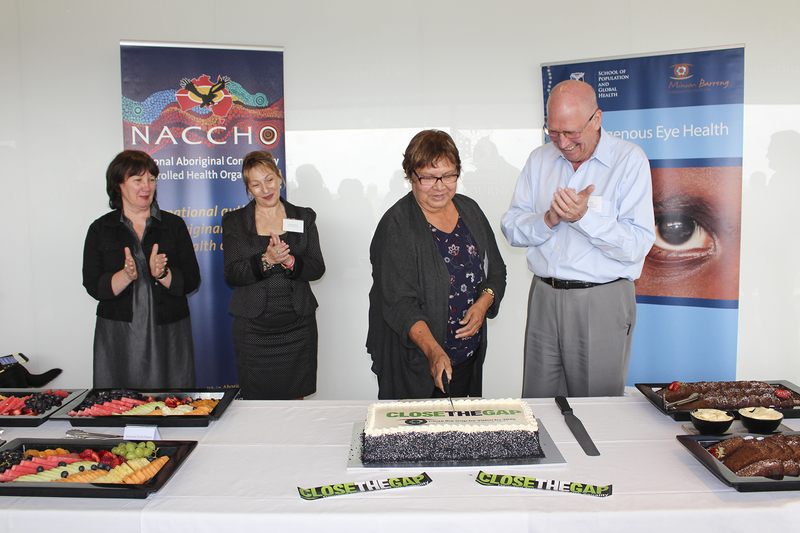 Gap in Indigenous blindness rates halved in nine years, expert says Barbara O’Connor from QAIHC cutting the 'Close the Gap' cake at morning tea. IEH’s Roadmap partners such as NACCHO, Optometry Australia, RANZCO and Vision 2020 Australia supported the conference. Thanks to more than 100 people working in various areas of Indigenous eye care across Australia, including representatives from VACCHO, AHCSA and QAIHC, who attended the conference and provided many positive stories about progress to close the gap in Indigenous eye health. 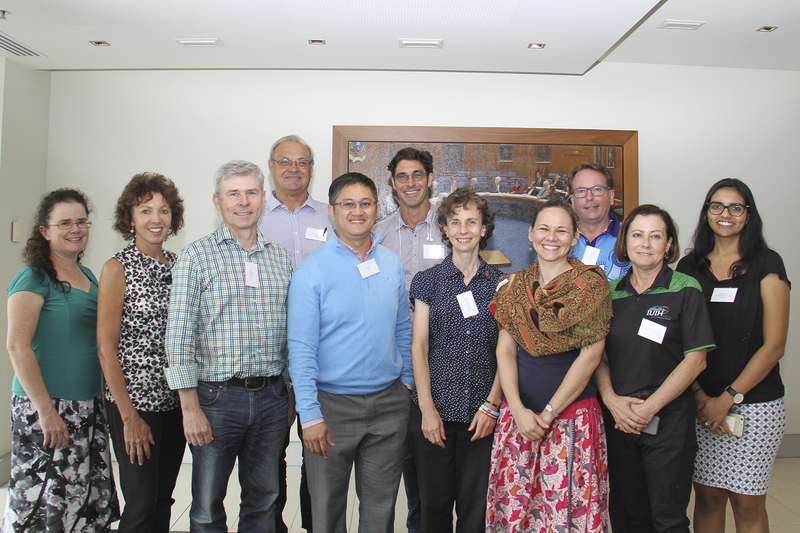 IEH’s Roadmap partners include Optometry Australia and we were delighted to welcome a number of optometrists to the event who provided valuable professional insights and positive stories about their contribution to close the gap in Indigenous eye health.